You are here: Home » Austrian Wine Took Over California! April brought the Austrian Wine Marketing Board to the west coast in a week-long extravaganza of events! 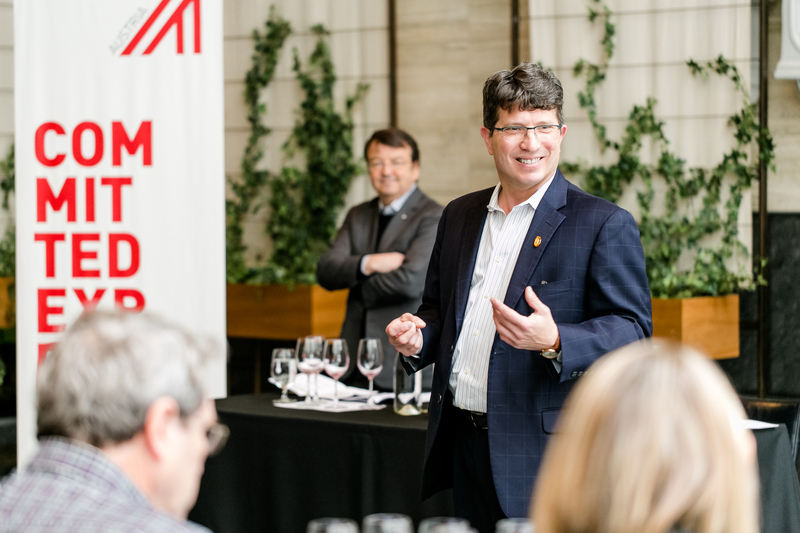 First stop: San Francisco’s RN74 restaurant where Willi Klinger, Managing Director of the Austrian Wine Marketing Board, and David Glancy, Master Sommelier, spoke to a captive audience about Austria’s red wines. 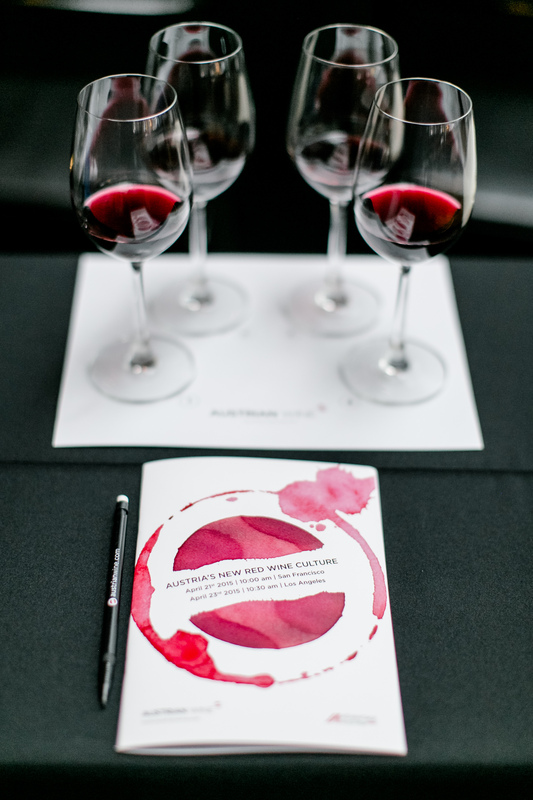 The four flights focused on Zweigelt, Pinot Noir, Sankt Laurent, and Blaufränkisch, in that order, and were designed to show attendees both the diversity and quality of different wines across varying price points. Second stop: Los Angeles’s Republique restaurant welcomed Willi Klinger to the stage and Pat Farrell, MW, joined him. Just as in San Francisco, attendees were offered a taste of each grape in a structured tasting order demonstrating the red wine category. Finally, we ended the tour in Orange County at the Neptune School of Wine where Willi Klinger led eager students and participants through the 7 Elements of Uniqueness featuring an array of Austrian wines including Grüner Veltliner, Riesling, Sauvignon Blanc, Zweigelt, Blaufränkisch, Sankt Laurent, and even our liquid gold and more! See all the completely wine lists here and check out #ATNewReds and #7Elements on Twitter & Instagram for tasting details and insights! In between the seminars we found time to expose consumers to our great wines at wine shops such as William Cross Wine Shop in SF and Lou Wine Shop and Tastings in LA and even for a spot of fun (or two!) at places such as Wolfgang Puck’s Spago. California is really a great market for Austrian wine that has been steadily growing for many years and we couldn’t be happier with how knowledgeable and excited the wine trade is there for our wines.